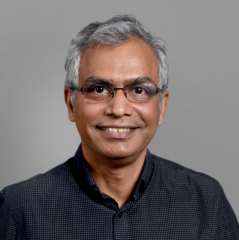 Summary: Professor Kambhampati will begin this lecture with a perspective on the status and recent progress in AI, and the heightened public expectations surrounding it, with the aim of separating hype from technical reality, and explicating the complementary strengths of data-based and model-based approaches to AI. The focus will shift to ongoing research on designing AI systems that can interact and collaborate fluidly with humans, including modeling the mental states of humans in the loop, recognizing their desires and intentions, providing proactive support, exhibiting explicable behavior, giving cogent explanations on demand, and engendering trust. A summary of the progress we have made so far on tackling the challenges raised by such human-aware AI systems will conclude the lecture.